This is a sponsored post written by me on behalf of The Hershey Company for IZEA. All opinions are 100% mine. Spring is my favorite time of year. I love the chirping birds, blooming flowers, warm weather and working in the garden. Spring makes me happy and one of my favorite parts of the season is celebrating Easter. I have fond memories of buying a new Easter dress for church each year and also hunting for Easter eggs with my siblings. One year in particular, I remember my mom making her annual bunny cake the night before the big day when she realized she didn’t have any jelly beans for the eyes. When we woke up the next morning, jelly beans had “magically” appeared and she told us that the Easter Bunny had left them. I remember thinking that was SO cool. Easter is a special time for me and my family, filled with a celebration of faith and rich tradition that I hold close to my heart. 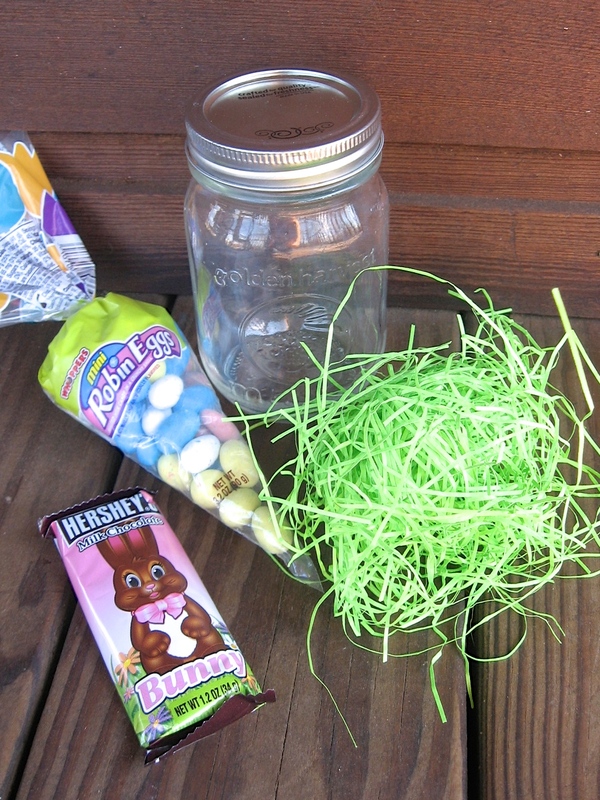 One such tradition is receiving an Easter basket with a chocolate bunny and hunting Easter eggs filled with CaNdY! 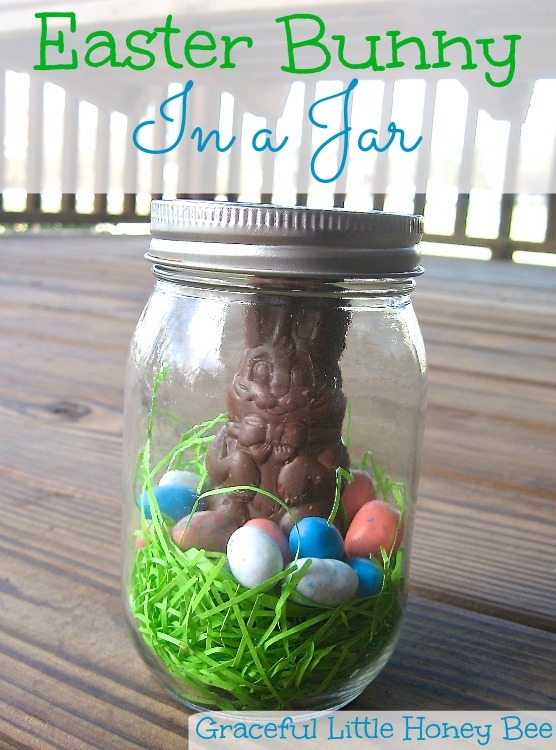 That’s why I’m excited to be bringing you this Easter Bunny in a Jar craft. You can whip these up in a snap and they make great party favors, centerpieces or Easter basket fillers. Plus, you can get creative and fill them with your favorite candy of the season including a wide variety of new and classic treats from Hershey. I think a Cadbury Creme Egg, which Hershey has distributed for decades in the US, would be a great addition to this project! 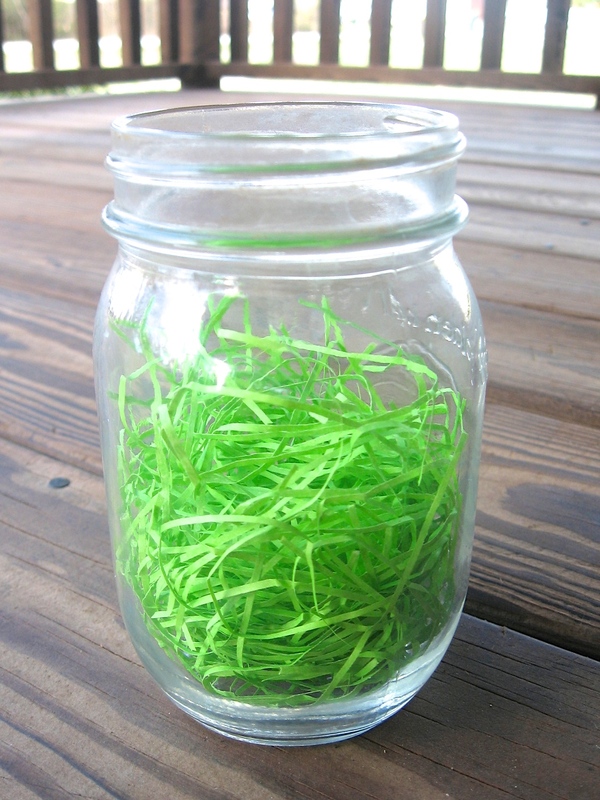 Step 1: Place handful of grass into bottom of jar. 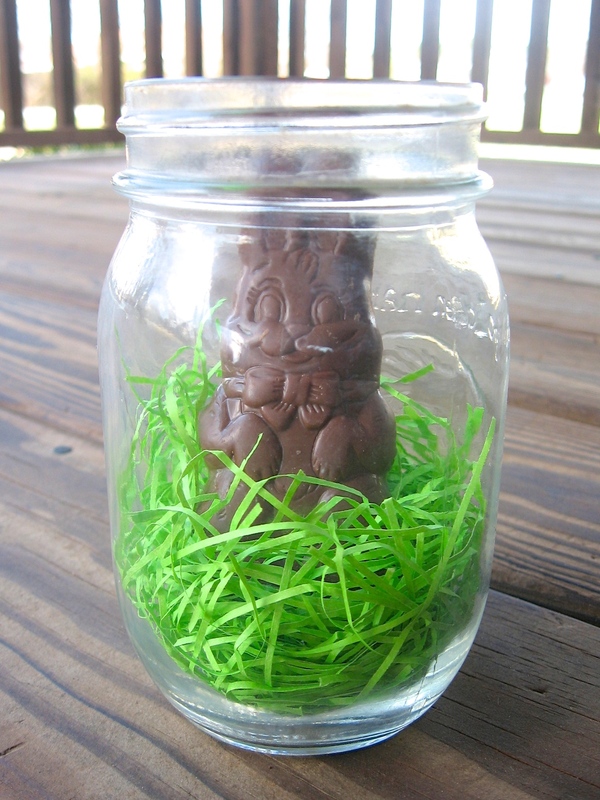 Step 2: Unwrap Hershey’s Milk Chocolate Bunny and place on top of grass. Doesn’t he look happy?? 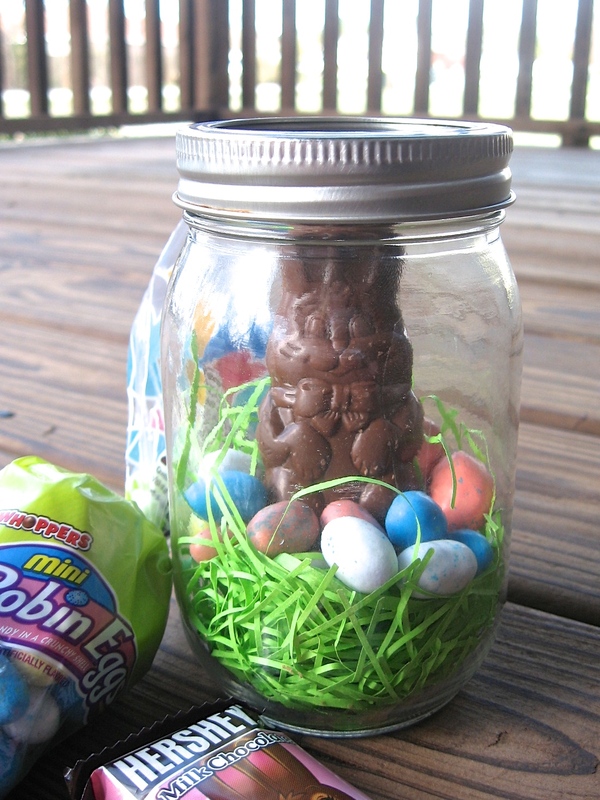 Step 3: Sprinkle Whoppers Mini Robin Eggs Candy around the bunny. Step 4: Screw on lid and band. Voila! How easy and fun was that?!? I am in love with the simplicity and cuteness of this project!! 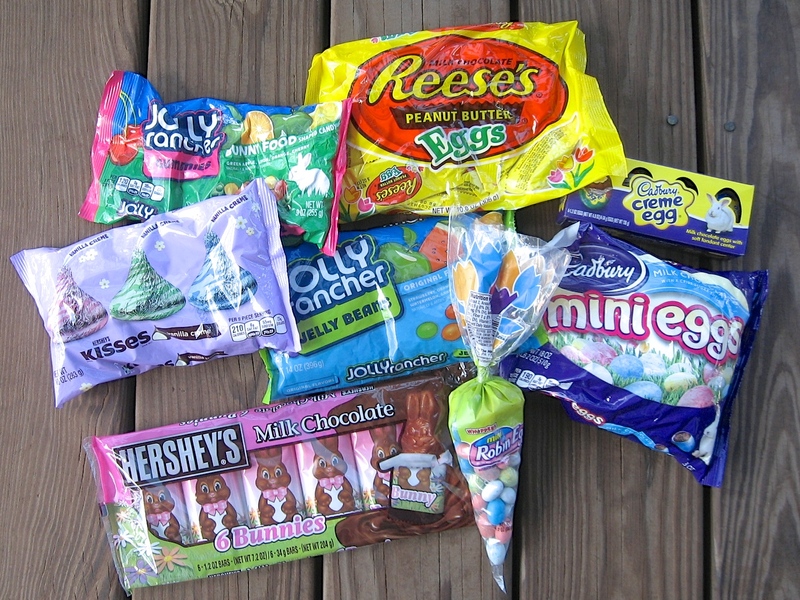 What is your favorite Easter candy or tradition? I’d love to know! What about making green grass with shredded coconut & green food coloring? Sure, that would work too. 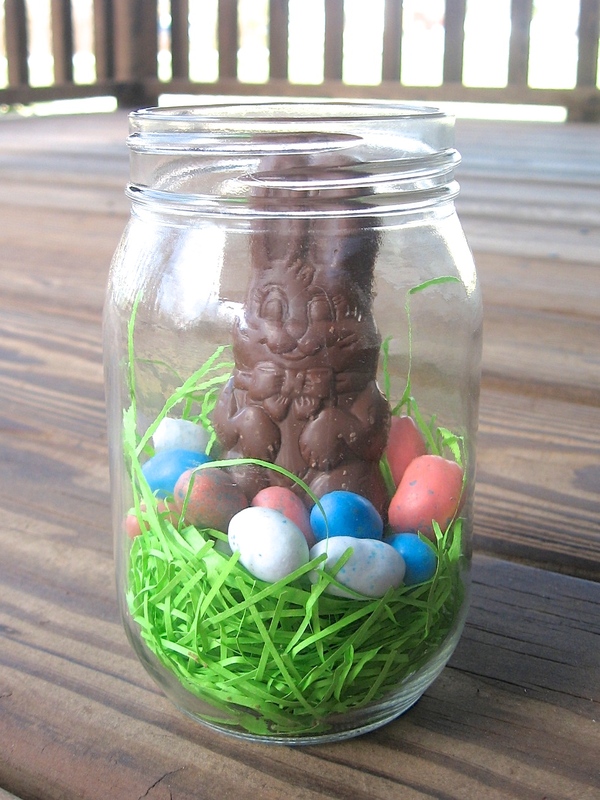 We are new to the neighborhood and these Easter baskets in a jar would be perfect to surprise the families on our street. Thank you for the fun idea. I just love this idea. Wish I thought of this before. Will try it this year for my boys. Thank you!